Sie haben eine Frage zum Riverside Plum Garden Homestay? Das in der kulturell interessanten, an Sehenswürdigkeiten reichen Gegend von Hoi An sehr günstig gelegene Riverside Plum Garden Homestay eignet sich perfekt, um einen anstrengenden Tag in entspannter Atmosphäre ausklingen zu lassen. Das Stadtzentrum liegt lediglich 1 km entfernt und auch der Flughafen kann innerhalb von 30 Minuten erreicht werden. Aufgrund ihrer günstigen Lage bietet die Unterkunft den perfekten Ausgangspunkt zu den wichtigsten Attraktionen, die man gesehen haben muss. Das Riverside Plum Garden Homestay bietet einen tadellosen Service und alle zentralen Annehmlichkeiten, um Sie nach einer anstrengenden Reise wieder fit zu machen. Zu den Top-Einrichtungen der Unterkunft gehören: Gratis-WLAN im Zimmer, Taxiservice, Ticketservice, öffentliches WLAN, Parkmöglichkeiten. Die Unterkunft "Riverside Plum Garden Homestay" verfügt über 5 Zimmer. Alle sind geschmackvoll eingerichtet und für höchsten Komfort mit Flachbild-TV, Wäscheständer, kostenloser Welcome Drink, Bettwäsche, Spiegel und weiteren Einrichtungen ausgestattet. Die Unterkunft bietet viele einzigartige Entspannungsmöglichkeiten an, darunter Fischen, Garten und weitere. Aufgrund seiner sehr guten Lage und ausgezeichneter Einrichtungen trifft das Riverside Plum Garden Homestay in vielerlei Hinsicht die Anforderungen von Reisenden. Wir hatten ein Deluxe Triple Zimmer zu zweit und damit sehr viel Platz. Es war ein sehr schönes, modernes und sauberes Zimmer. Einziges Manko, die Toilette ist nur mit einem Vorhang abgetrennt, da wäre uns eine Türe schon lieber gewesen. Der Garten ist auch hübsch angelegt und hat ausreichend Sitzmöglichkeiten für die Gäste. Die Familie oder das Personal sind sehr freundlich und hilfsbereit. Man kann gegen Bezahlung auch Frühstück bekommen. Bis zur Altstadt muss man etwas laufen, wussten wir aber vorher und war damit völlig in Ordnung. Wir haben Hoi An mit dem Nachtbus verlassen und auf Nachfrage wurde es uns ermöglicht Abends vor Abholung nochmal kostenfrei in einem leeren Zimmer zu duschen. Insgesamt waren wir sehr zufrieden. Room very clean and new. Excellent Staff service . Quit far from city but have bicycle for free. Location is perfect-quiet street close to the city center by walk. Bikes for free. Super clean big room,comfortable bed. The house is very nice and staff is so nice!! They prepare the best vietnamese coffee i have had. This place is excellent for the price. The staff is extremely professional and will be very generous, going the extra mile to help you. The rooms are very very spacious and the decor is very beautiful with a vintage feel to it. Would definitely go back. Location is quite convenient: if you want to stay out of the mayhem of the center this side of town is the best one to have some quiet and still be at a stone throw from the central area. Also you get free bicycle, which is the best way to get around. My room was big and clean. However no rail to hang wet towels. Bikes were badly maintained. Brakes not working, broken bell, rusted and seized lock. When i mentioned oiling the lock, at very little expense, they showed no interest. On arrival, within minutes their interest was having clothes made or booking a tour! Location was on an hoi island, within walking distance of the bars and clubs with loud music. More suited to back packers. 15 minutes to centre of town. The room is big with the large bed and very morden. The staff is very friendly and hospitable. It took 10' to go to the old town. Nice riverside location. I found a super cheap restaurant from the the other side of the river. Ok guest house, quite new, clean - very value for money Location opposite the river. 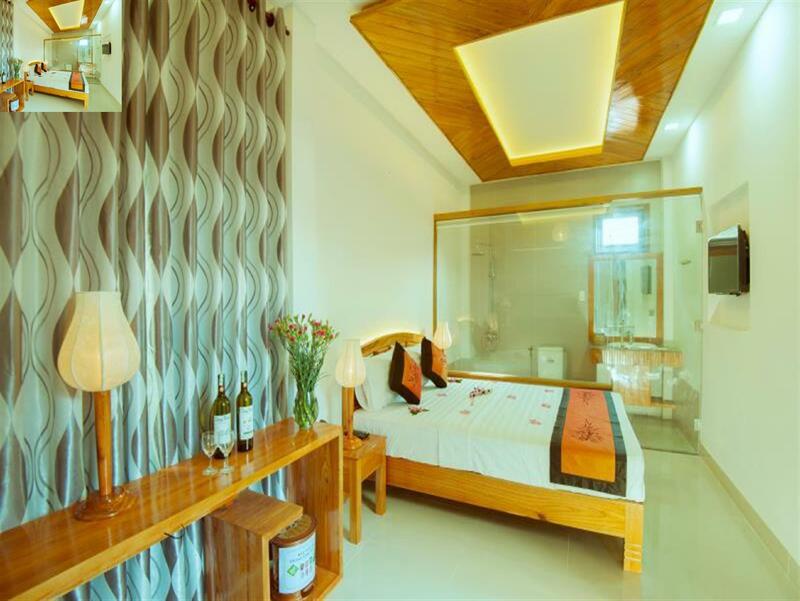 Some room is quite sultry; One of the staff said motorbike rental is 160k VND per day - went out and rent for 100k per day in a more expensive hotel. Free bicycle though. I love this place. Facilities were new. Room was clean and as luxury as it could be! Free bicycle rental. If you need anything else, just ask the staff. They were super nice and helpful. We had a miscommunication at first as I couldn't find the address (problems with my phone maps and when I asked neighbors they just showed me around), so the host told me to stay where I was and she drove and picked me up in the rain. Lovely people! I already recommended this place to some of my friends! We only stayed one night but the host was very warm and friendly. Room is very nice and clean, fully amenities. But they are in the process of repairing the upper floors so it's a bit noisy in the room. Homestay has bikes available so we can rent. We will come back when we come to Hoi An again. With my rather limited budget, I chose this homestay and discovered it my most comfortable homestay in Vietnam. My deluxe double room is very new and decent with comfortable sofa and everything is so clean. (In fact it is better then some so-called hotel I have stayed in before, and I took a long nap after check-in because it is so comfortable!) The location is good too with 5 minutes walk from ancient town. The host is so nice they offered me all kind of help including early check-in, actively lending me an umbrella as they saw it raining, chasing the bus for me and even let me use the computer for a while for some academic stuff! 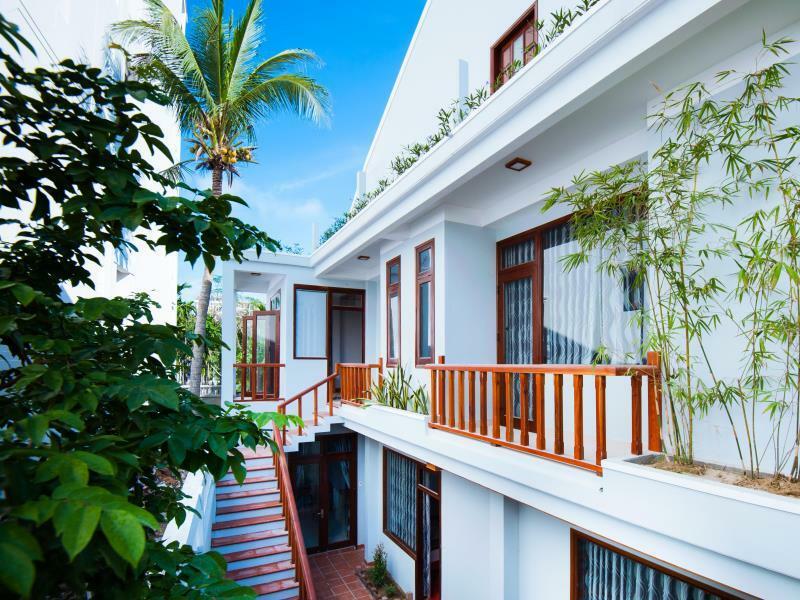 I can't see the reasons for not choosing this homestay and definitely my choice again if I am back to Hoi An! This is a lovely place to stay, pretty new and very well maintained. Rooms have a contemporary feel and are immaculate! The host and family are really friendly, they offered us free bike hire to cycle to town. It's about a 20 min walk so consider the bikes. (Most hotels in Hoi an are a long walk from the town so don't let this put you off) The family let us check out late for an extra 100k dong and organised a private taxi back to the airport. Well worth using this as it is about half the price of booking a taxi in town. (Approx £9 to Da Nang airport for 2ppl) It would be nice if the room had a small fridge. The room is true to the photos, but we were still shocked when we were introduced to our room. It's just amazing after staying in all kinds of hostel. Super comfy beds and lovely bathroom! Very clean and they gave us a change of bath towels :) It is very quiet at night. The location is a bit out of the old quarter but everything is within walkable distance. If you are arriving by taxi, make sure you can call the reception or contact them beforehand for a detailed instruction how to get there because even taxi drivers are confused by the given address. I found this place by pure accident and ended up staying much longer than anticipated. The size of the rooms is wonderful, so are the staff. Nice big bathroom, balcony, and seating in the garden to enjoy your coffee. We had a very spacious clean room with a very comfortable bed. The family/staff is friendly and willing to help with everything. The location is good because it is close to the nightmarket and the 'centre' but because is it next to the river it's more quiet. Wifi was good. The family is very nice, there is good vibe there! They take care to all our needs, the rooms there are very big and very clean, shower and WiFi were great. They let you use their bicycles for free, so its very convenient. Also, they invite us for a dinner when there was a typhoon outside. Highly recommended! 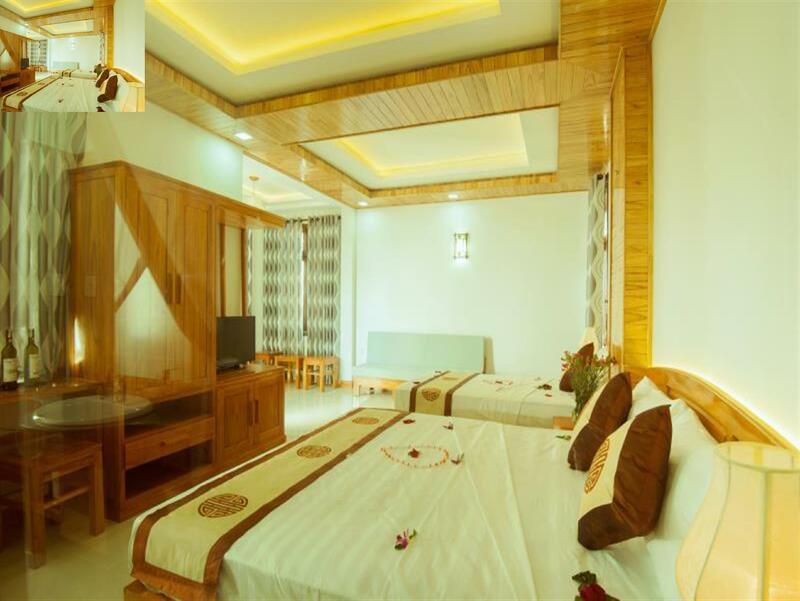 !Our best stay in Vietnam! The hotel located in a very nice road, oposite to the river, and you can easily reach the old town (HoiAn) and also new town (AnHoi) in 5 minutes by scooters or 10 minutes by bikes. Nice room with mordern facility, very clean and worth the money. The staffs are very helpful also. 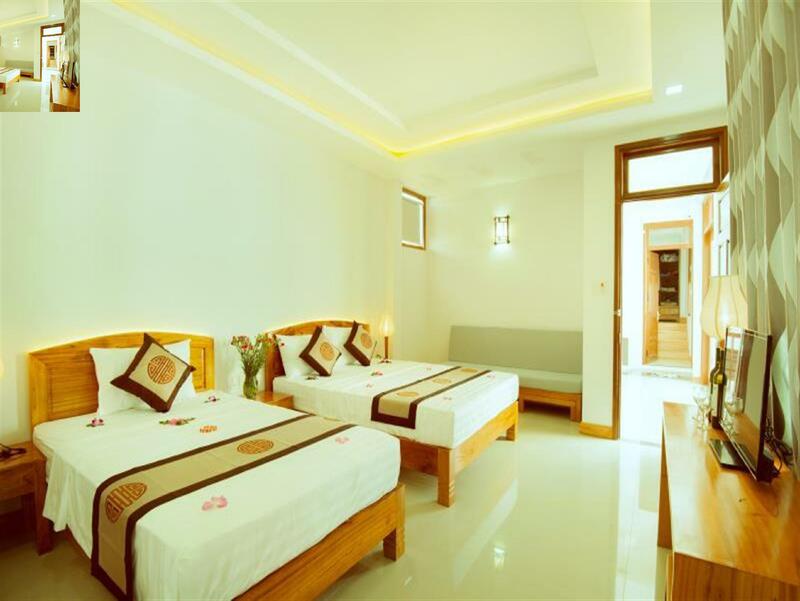 New clean spacious room with basic facitlities including refrigerator, air conditioner. Staff was very nice and helpful. We checked in after midnight due to flight schedule changed, staff called me to confirm the time and told me not hesitate to call her up to open the door. Good location, it is near the old quarter and we were supplied 4 bicycles for free to go around. I am very sastified with this homestay. It is much better than I imagined when I made the booking.